WHAT IT IS: A museum in the form of an aircraft carrier! With a deck the size of four football fields, visitors get to learn about the history of a historic battleship which is also a National Historic Landmark. Launched in 1943, the Intrepid served in World War II, surviving five kamikaze attacks and one torpedo strike. The ship later served in the Vietnam War. The Intrepid also served as a NASA recovery vessel in the 1960s. She was decommissioned in 1974, and today is berthed on the Hudson River as the centerpiece of the Intrepid Sea, Air & Space Museum. Children of any age will enjoy the museum. However, some of the films may not be appropriate for children under 10. Also note that there is a lot of walking and climbing stairs involved. It’s not every day that you get to explore an aircraft carrier! The Intrepid features a vast array of hands-on exhibits that help visitors learn about the workings of this formidable battleship. You can also pay respects to the U.S. serviceman who lost or risked their lives aboard the Intrepid. Experience what it was like to stand in a command booth. Play a video game where you land a plane on the Intrepid. Get a bird’s eye view of the entire deck. 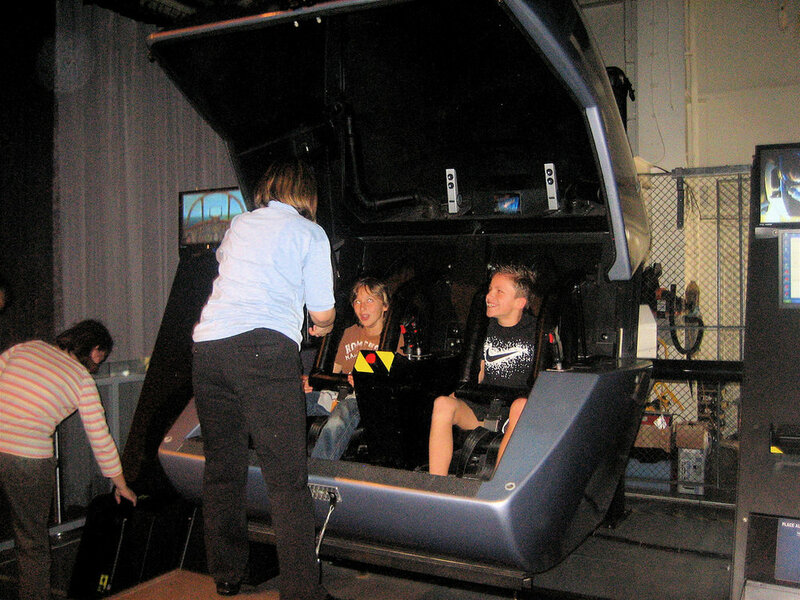 For an extra $24, you and a friend can embark on a the GForce Encounter, which is a two-person cockpit that allows you to simulate flying a supersonic jet plane. You can fly the aircraft with 360 degrees of movement. Note that there is a height requirement of 42 inches with an adult and 48 inches without an adult. This exhibit also teaches a lot about life on a submarine, especially what life is like at extremely close quarters. You can also visit and board a submarine alongside the Intrepid on the flightdeck. The Growler is the only American guided missile submarine open to the public. Growler offers visitors a firsthand look at life aboard a submarine and a close-up inspection of the once "top-secret" missile command center. Note: In order to board the submarine you must be able to pass through a somewhat small portal in the wall on your own without assistance. Backpacks are not allowed on the submarine. WHAT’S IN IT FOR THE KIDS: In addition to the thrill of boarding an actual battleship, children will enjoy boarding a real submarine and trying out flight simulators, (separate admission required). 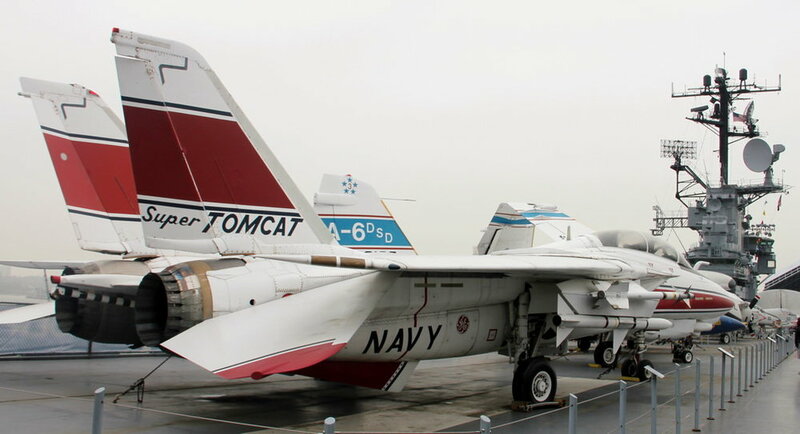 The exhibits are inherently kid-friendly, such as the planes on the landing deck and the plane exhibits on the hangar deck that allow guests to simulate landing a plane on the Intrepid. 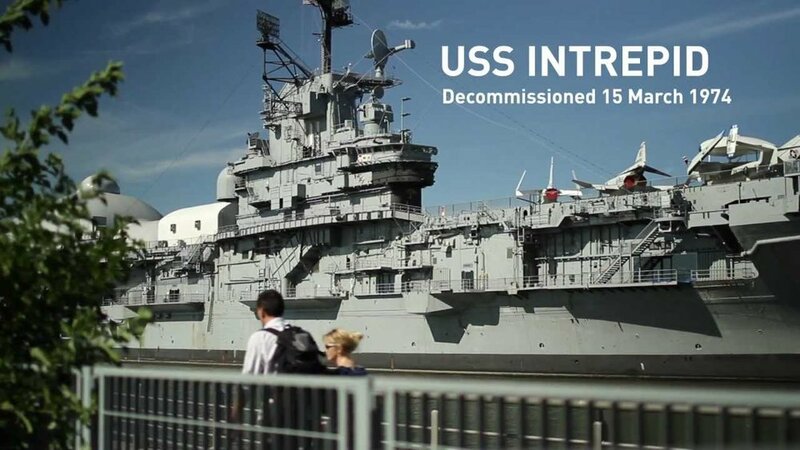 There is a short film that features interviews with the former Intrepid crew members. There are also films on the deck that include a narration from a survivor of an attack. The survivor recalls standing in the exact same location the audience is standing in as they watch the film. From the top deck, take in an amazing view of the city, as well as a place where you can view the planes which include a British Airways Concorde. The fastest Atlantic Ocean crossing by any Concorde occurred on February 7, 1996 and took only 2 hours, 52 minutes and 59 seconds. This record-breaking plane—the Concorde Alpha Delta G-BOAD—is on display at the Intrepid Museum Pier 86. The Space Shuttle Pavillion is almost a museum within itself. The Space Shuttle Pavilion showcases the space shuttle Enterprise, the prototype NASA orbiter that paved the way for America’s successful space shuttle program. Star Trek fans will appreciate the small display dedicated to props from the show. The exhibit “Defying Gravity: Women in Space” uses a hologram of Dr Mae Jemison to share the stories of women in the US Space Program. Note: Participants must be over age 13. Children will get a kick out of listening to actual conversations between mission control and Enteprise pilots during flights tests as well as the gift shop which sells space food including space ice-cream sandwiches. FASCINATING FACT: After the terrorist attacks on September 11, 2001, the Intrepid served as a headquarters for FBI members. From November 1-March 31: Open daily from 10am-5pm except for Thanksgiving Day and Christmas day. From April 1-October 31: Open on Mondays through Friday from 10am -5pm. Open on Saturdays, Sundays and Holidays from 10am to 6pm. Note: Latest entry to the museum is one hour prior to closing. The Intrepid is usually least crowded on weekday mornings. Adults (anyone over 13) are charged $33, children under age 12 pay $24. A wide range of Intrepid -related items including clothes, toys and board games such as“Space-O-Noply,” wind-up submarines, t-shirts featuring World War II’s “We Can Do It” slogan, and toy spaceships. WHERE TO EAT: The cafeteria is located in the main building, not on board the Intrepid herself so plan to do most of your visit before or after you eat although there are several vending machines on board the Intrepid herself.